← Investing In Ford For Income Still Risky.. 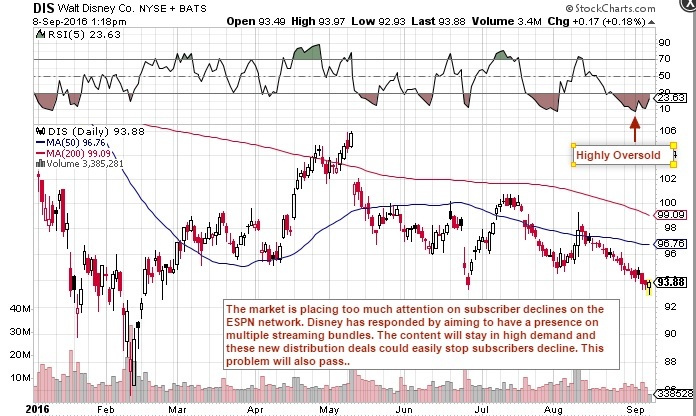 The market is placing too much attention on subscriber declines on the ESPN network. Disney (NYSE:DIS) has responded by aiming to have a presence on multiple streaming bundles. The content will stay in high demand and these new distribution deals could easily stop subscribers decline. This problem will also pass.. This entry was posted in Disney and tagged (NYSE:DIS). Bookmark the permalink.